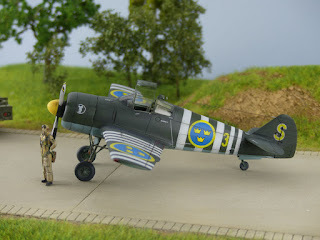 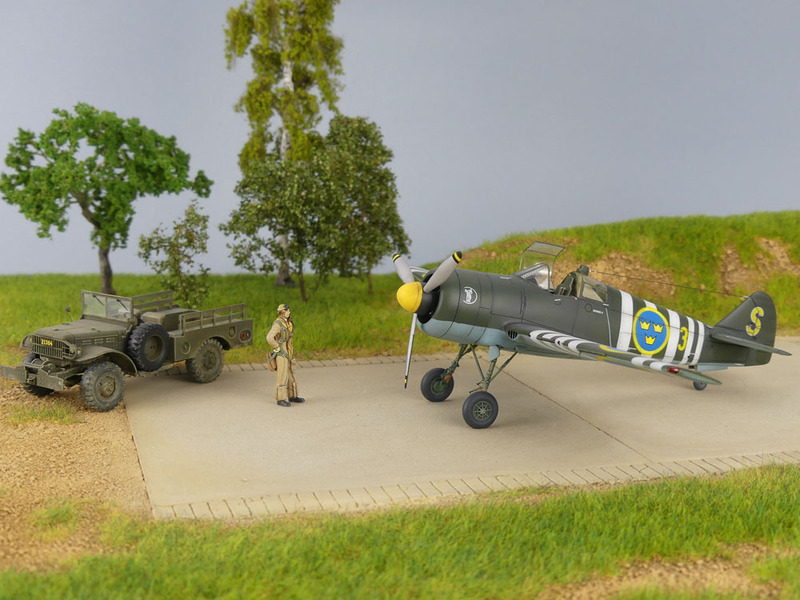 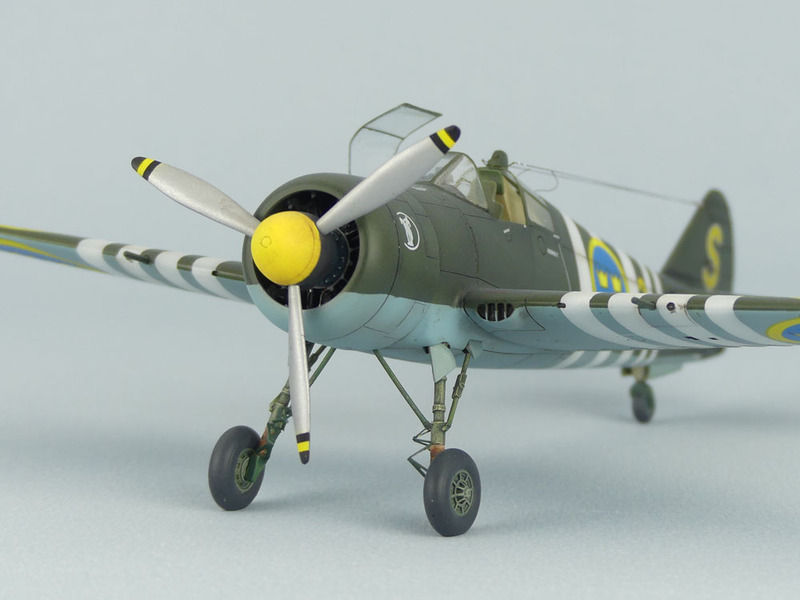 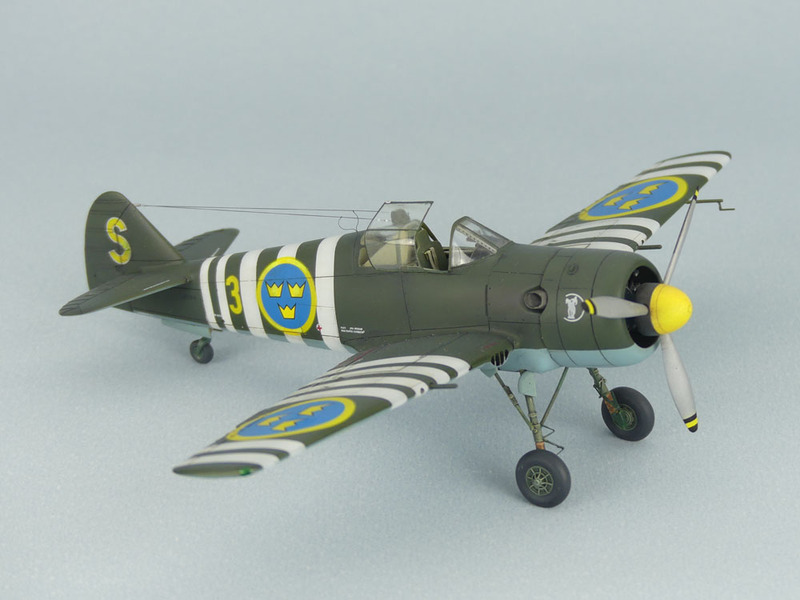 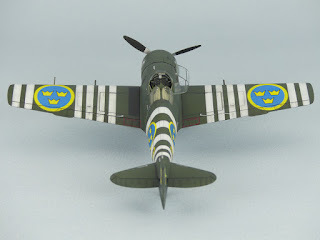 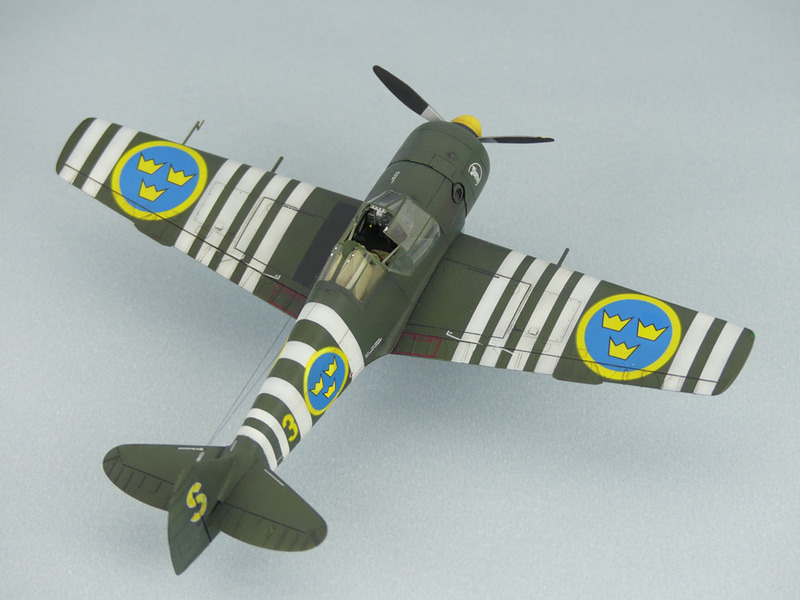 As one of the most recent additions to our Planet Models line of resin scale kits has been chosen the Swedish FFVS J-22 fighter flying in the WW2 era. 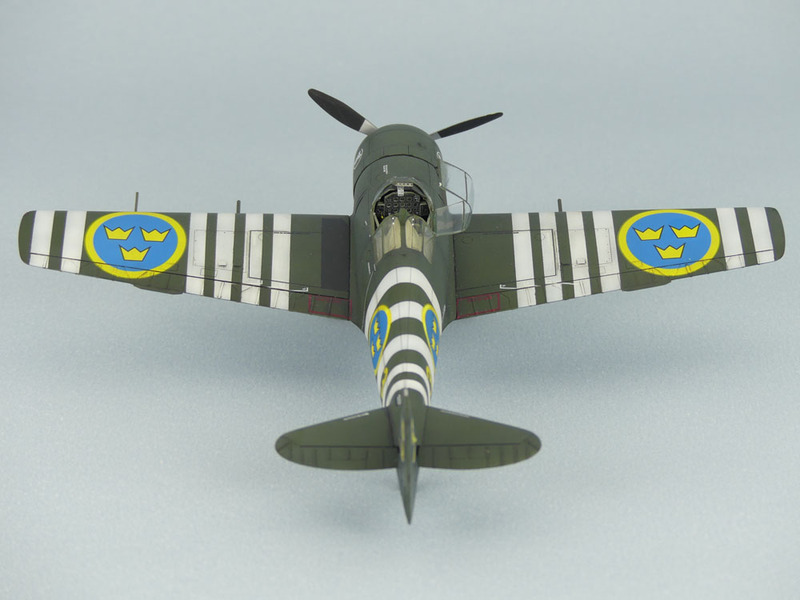 The acronym FFVS stood for "Royal Air Administration Aircraft Factory in Stockholm" and the J-22 was designed as an alternative to never delivered fighter aeroplanes of US origin and went to serve with the Flygvapnet to protect the neutrality status of Sweden throughout the 40s and 50s. 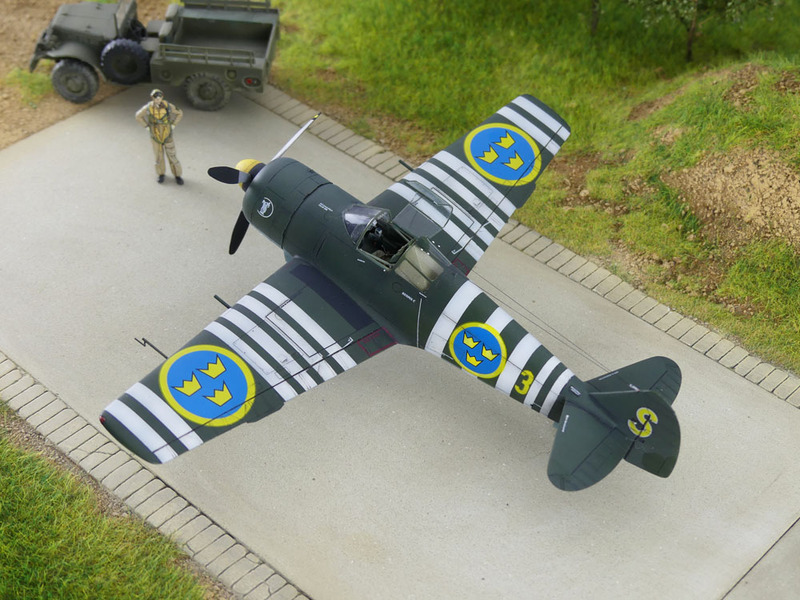 Our resin model kit offers also a photo-etched fret, white metal undercarriage legs, vacuum-formed clear canopy hood and an armoured glass made of clear resin. 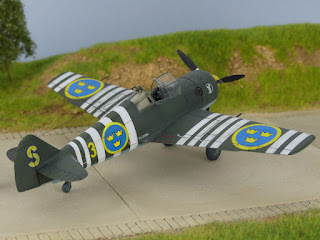 Now we have the opportunity to share with you a very nice photo series of a model built by Jean-Luc Formery. 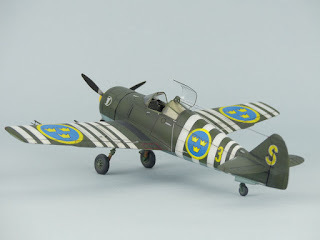 He has also written a build review which will be published in January issue of SAM Magazine.